Uninterruptible power supply (UPS) technology has changed quite a bit over the past several years, with newer devices offering far more intelligence and energy efficiency than previous generations. 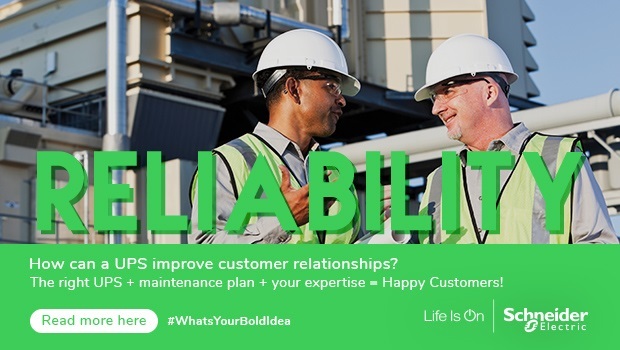 Electrical contractors charged with helping customers choose the right UPS for their various applications would do well to understand the various features and functions that UPSs now provide – so they can help customers choose wisely. Let’s start with energy efficiency. So-called “eco-mode” UPSs have been around for more than a decade, but only now are beginning to gain traction, thanks to some advancements in the technology. The idea is to reduce the power loss involved in the double power conversion process – from AC to DC and back again – that’s involved in “cleaning” utility power. In eco-mode, UPSs bypass that process most of the time, until it detects a power quality issue. That technology never caught on in a big way because it took a few milliseconds for the conversion process to kick in – an unacceptable risk in many instances. A new form of eco mode gets around the issue by constantly running the power inverter, but stopping short of performing the full power conditioning and double conversion when it’s not warranted. However, because the converter is always running, it can kick in immediately when needed. Remote management: Many UPSs now have Web interfaces or can accept network management cards that enable remote UPS monitoring from any Internet-connected computer and, in some cases, two-way UPS management – allowing for a centralized IT or facilities group to manage all UPSs. Automatic shutdown: When the UPS detects a disruption in utility power, it can automatically perform a graceful shutdown of attached devices. This is important for devices such as IT servers and medical equipment that must be shut down in an orderly fashion to avoid lengthy restarts or damage. In some cases, the commands are customizable by UPS port. For example, customers may want a server to shut down only if the UPS is in danger of running out of battery power. Notification of power loss: Various UPS models will issue an alert when they detect a loss of utility power, or even when power conditions vary from predefined thresholds. The alerts may include audible alarms, alerts sent to a management console, and email or text messages. Battery replacement warning: Similarly, UPSs will issue a warning when their batteries are getting to the point that they can no longer accept a charge. This is an important feature for any UPS, as it’s easy for customers to forget about a UPS once it’s installed, and neglect routine maintenance ­– like checking battery life. Status display: In instances where there is no centralized UPS management, customers will want to be able to check the status of the device at a glance. Some UPS models have LCD indicators for attributes including load status and runtime, and graphs that indicate battery life. Event log: The ability to maintain an event log is important for troubleshooting and for companies that want to track historical trends. Environmental: UPSs can also report on environmental conditions that may adversely affect their performance. An environment that’s too hot or cold, for example, can shorten battery life. Which brings us to another consideration: battery options. Most traditional UPSs relied on lead-acid batteries to store power. They work well, but carry significant weight and take up quite a bit of space. Now Lithium-ion batteries are making their way to UPSs, offering far more energy storage in a much smaller space, at about 30% less weight. What’s more, they require far less maintenance than lead-acid batteries. Click here to learn more about what Li-ion batteries mean for UPSs and how they enable the latest generation of the technology to apply to even more use cases. Electrical contractors who partner with their customers to choose the right UPS for their various applications can access this complimentary eGuide, “UPS Basics for Electrical Contractors & Specifiers: How to Choose, Configure and Cost-Justify.” It overviews the various features and functions that UPSs now provide and includes approaches to help customers justify their investment. I feel lucky to have your post. After, referring your post I have got many ideas. it such an amazing post which is very informative.